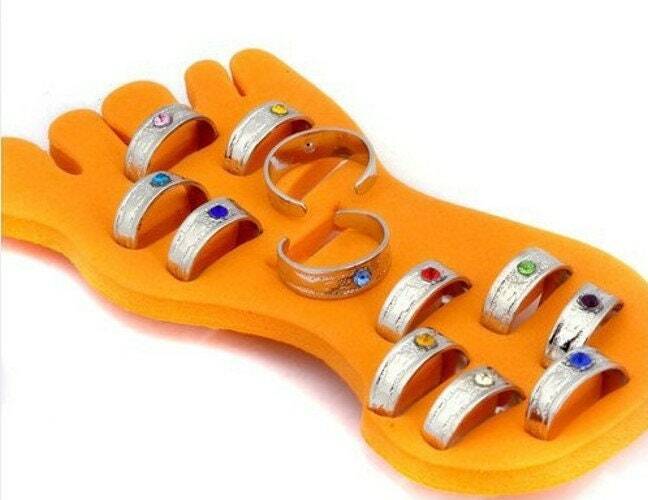 Open toe ring with color gemstones. Great for gifts. Adjust to fit any toe. Made from zinc alloy. Gemstone colors; red, pink, yellow,purple, and clear. Limited supply.